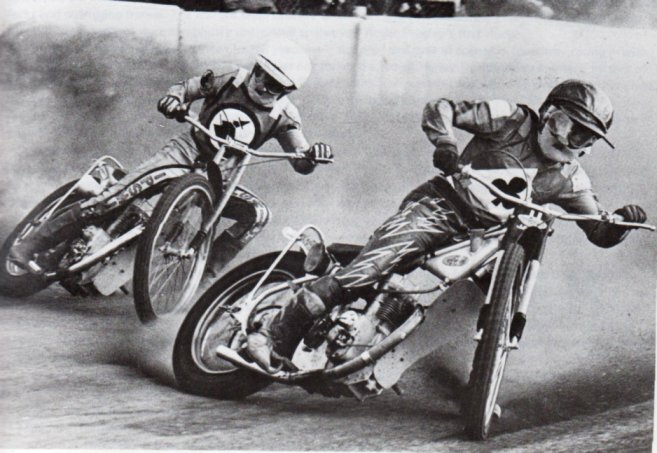 When I was a kid, me and my brother would sometimes if we were lucky, get to see a Speedway meet, as we were then on the East Coast of the UK, the nearest place were the Ipswich Witches and the Fenn tigers. The old man would want to go and drag us out in his old 1961 Ford consul and we would get to the track in plenty of time for the races, cold and wet sometimes, but the action was the best way to warm up, the smell of Castrol R was in the air and the aroma of Tea and popcorn would hang for hours. We were Teenagers and anything that got us out of the house was a bonus but, speedway was a great action sport to watch as a spectator. The fun with 2 wheeled sport has always been in mine and my brothers blood, my brother was more into the dirt bikes, but both of us could never afford anything and the old man was too busy spending his hard earn cash on god knows what as we got hardly anything, so I believe that’s why I have a passion with old bikes as i always had hand me downs and so did my brother Mick, I guess it made us a stronger character and learned to use what you have at hand to the best advantage you can. When I got to 16 years old, I was fortunate enough to wangle a little bit of work for then then World Champion John Louis at his John louis Racing shop in Bury St Edmunds, as thats where I used to attend king Edward V1 Grammer School. So, to be able to sit at a machine on a Saturday and help make sprockets was enthralling, but now I live in the states, I go to the local track in Costa mesa but the track is so tiny compared to the big European track, it makes watching it more fun as the corners are way tighter. 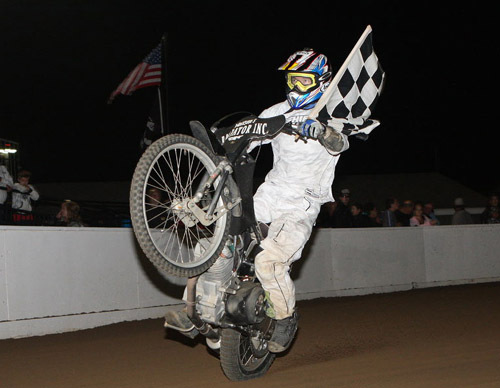 I just wanted to add some information on the British Champion who dominated the sport until Ivan Mauger came along and then Californian Bruce Penhall, as this is a fun sport that does not get any recognition that it should do. Ipswich born Louis started his motorcycling career in scrambling and was tempted to have a go at speedway when Ipswich re-opened in 1969. He made his debut in 1970 and by the following year topped the national Second Division averages. In 1972 Ipswich gained admission to the top flight by purchasing West Ham’s licence and Louis spearheaded the Witches team, making his World Final debut at London‘s Wembley Stadium in 1972, finishing in 5th place. John Louis was World Pairs Champion in 1976 with Malcolm Simmons and finished sixth in his last World Final appearance in Poland. He also captained Ipswich to the British Championship in 1975 and 1976. Louis was also the British Champion in 1975 (Chris Louis would win the British Championship in 1998 and 2000 making them the first father-son to do so). 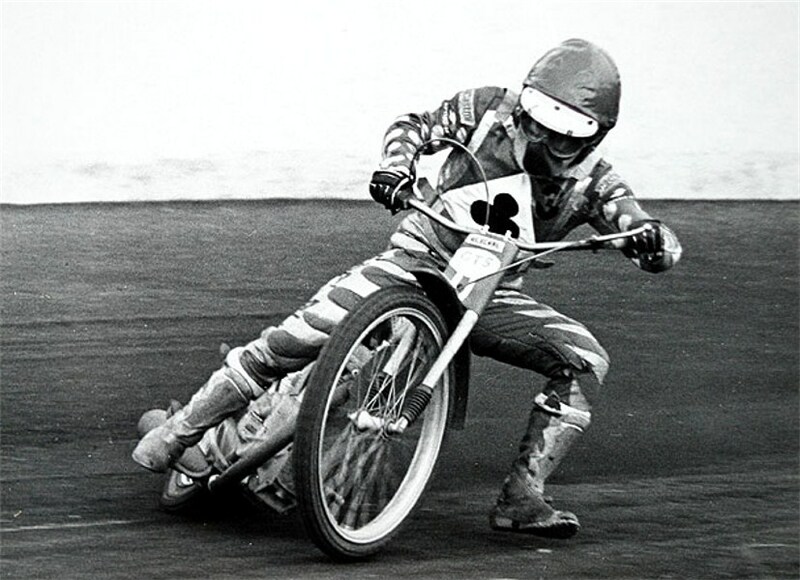 He was British League Division Two Riders Champion in 1971 and British League Riders Champion in 1979. In 1981 Louis joined Halifax, spending two seasons at The Shay before signing for a season at King’s Lynn in 1983. He retired from riding in 1984 and is now the promoter of the Ipswich Witches. 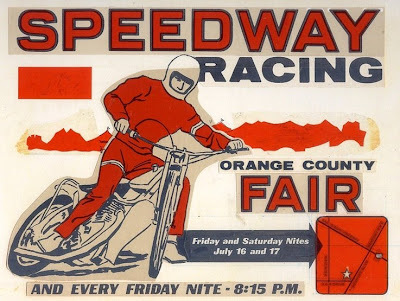 So, this weekend, we shall be at Costa Mesa on a Saturday night enjoying speedway at its very best. 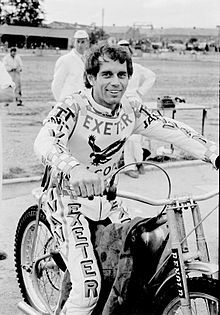 This entry was posted in Blog and tagged bruce penhall, grasstrack, ivan mauger, john louis, speedway.